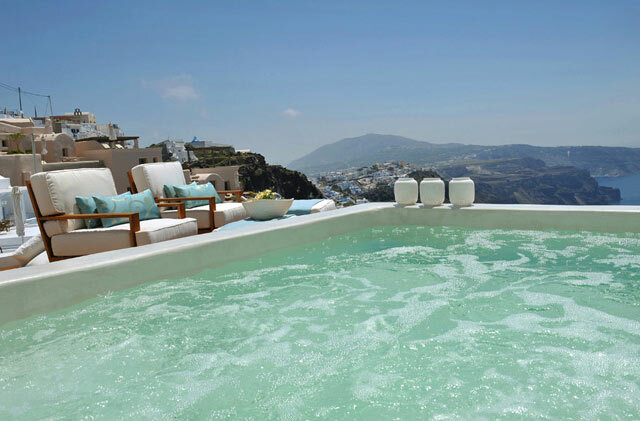 Aqua Suites is located at the highest point of the island- the historical rim of Caldera, at 300m high with astounding sun setting view of the volcano and only 10min walk from the main capital town - Fira. 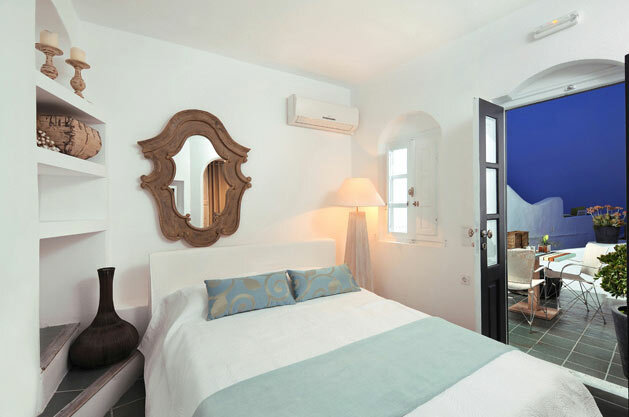 The four cozy luxury suites built in traditional style are decorated in a matchless way. 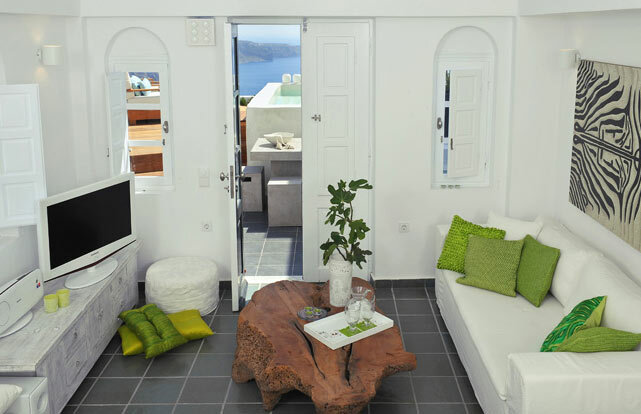 High-Tech amenities blended harmonically with the traditional spirit of Santorini in an impeccable way. 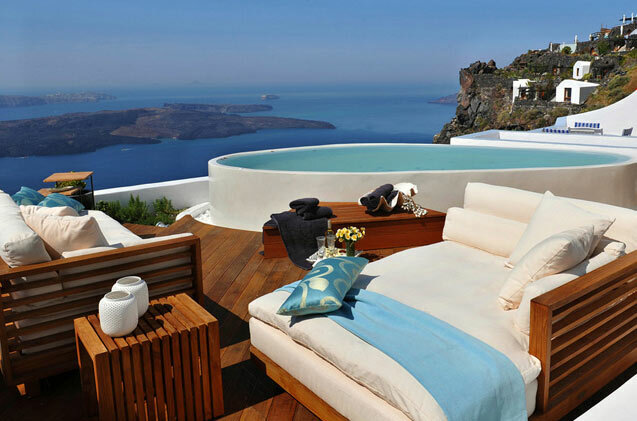 Using the volcanic cliffs in an unusual aspect and combining all the amenities someone can ask from a luxury hotel and yet at the same time maintaining this special architectural touch. Remarkable settings give our guest experiences that will stay carved inside them and always giving them the eagerness to return back. he helpful staff of Aqua Suites is always in dispose to fulfill your every need and request. 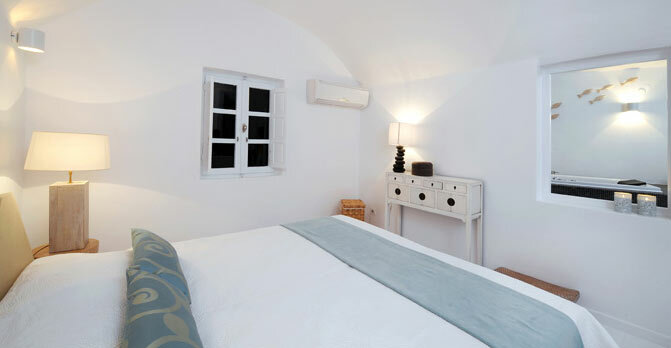 Our service and accommodation are so exquisite and magnificent that guarantee to make your stay exceptional. All these are made for our UNIQUE guests. 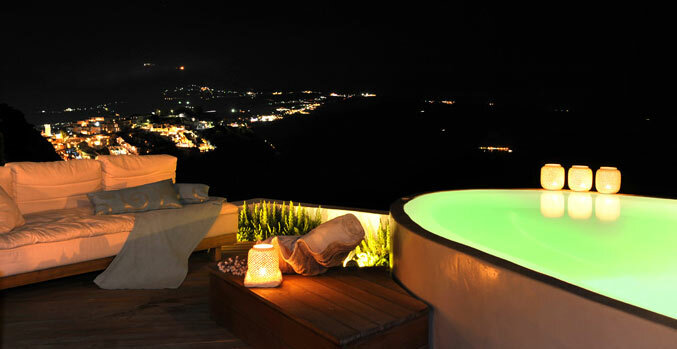 Come to Aqua Suites and enjoy memorable nights and days. 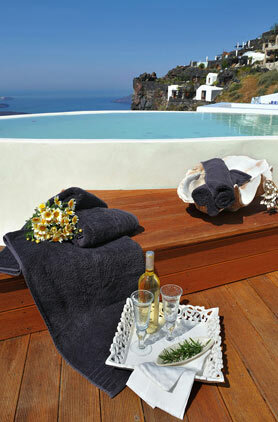 Admire the view and watch the sun disappear into the blue of the Aegean sea!!! !